I’m on vacation in Iceland for three weeks. 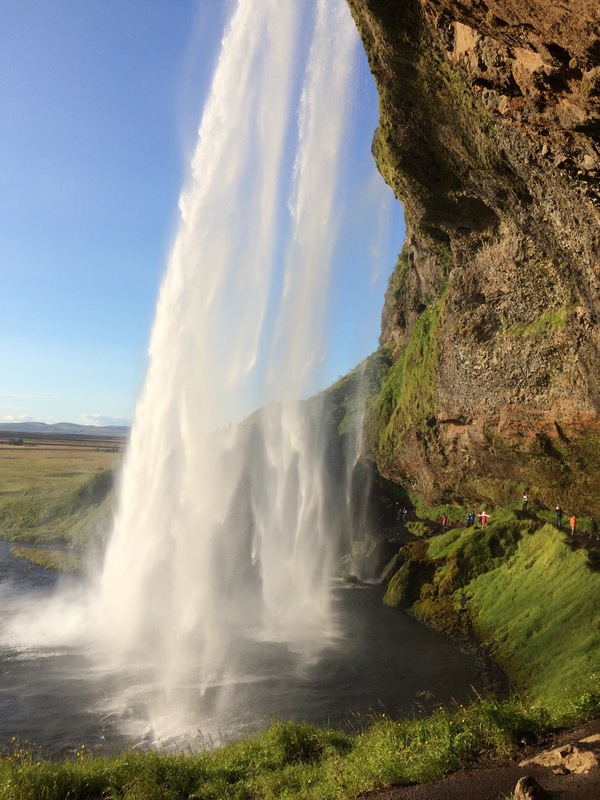 In my first five days here, I’ve had major jet lag, ate arctic char for the first time (loved it), fed carrots to Icelandic ponies (so loved it), seen the original geysir that the word ‘geyser’ comes from (didn’t love the smell), walked behind a waterfall (Seljalandsfoss), and rediscovered seven life-changing lessons. So many people said, “Iceland? Why?”when I told them where Marcus and I were going for summer vacation. Some were just curious and really wanted to know. Others were judging; they couldn’t understand why we would go to a remote island known more for freezing temperatures and lava rock than for fun summer adventures. But I knew they had no idea what they were talking about. I knew we were going to a magical place full of wonder. But isn’t that sentiment so common whenever you’re trying to do something out of the norm? I don’t know how many times I’ve had people say to me, “Why would you want to do that?” Especially in the last 12+ years working as a prelaw adviser, I would say that 70-80% of the time when people asked me what I did for a living and I told them that I help people get into law school, I’d get that kind of comment (it’s not really a question), usually with a scowl or look of disdain. I never got used to it. It always bothered me. What’s it to you what I do for a living? You don’t have to do it, so why judge me? After more than a decade of that, I became more and more determined to go my own way. Going to Iceland and affirming what I knew to be true–it IS a magical place–look at that friendly Icelandic horse! 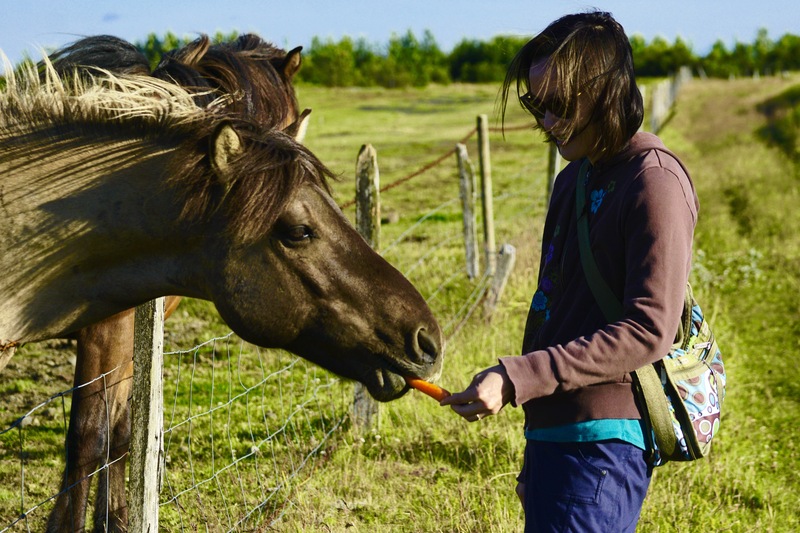 And it was super friendly even before I brought out my carrots–just reminds me to follow my heart and steer clear of people who will judge me for it. Speaking of judgement, I can’t just tell others not to judge me while I continue to judge them all the time. That’s not fair. It’s not logical. And it’s just plain jerk behavior. I’ve been working on this lesson but I’m especially feeling it lately as I’m confronted with things that go against my ethics here in Iceland. 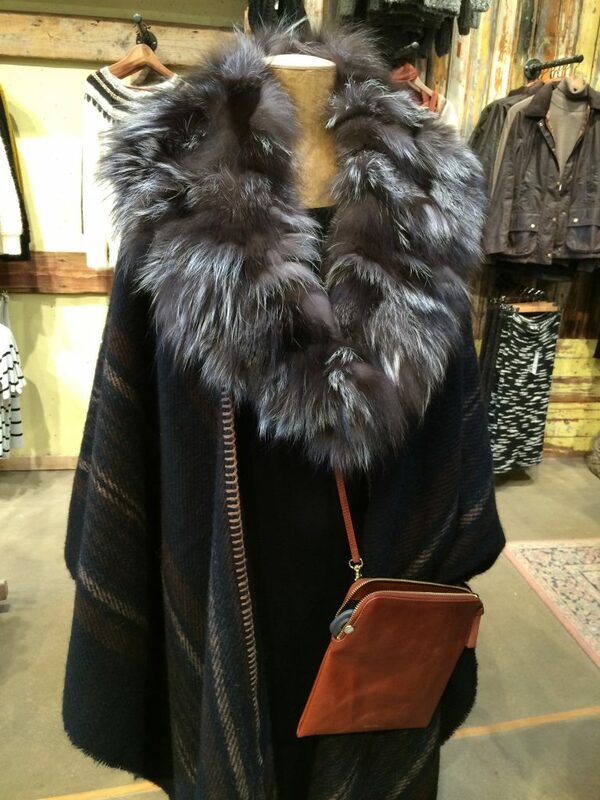 I think this fur collar poncho is beautiful. I’d wear it in a heartbeat. But I’m against killing animals for their fur. I wear leather but I’m okay with that since I do eat beef and I believe that if you’re going to kill an animal, use all of it–the meat, the hide and fur, the innards, the whole thing. Honor that animal’s life by putting all of it to good use. Don’t let any of it go to waste. I’m a carnivore. If someone else wants to be vegetarian or vegan, and not eat animals or use animal products, I say, more power to them. I don’t judge them or try to make them conform to my ways or politics, and I expect them to treat me with the same respect. So, when I thought more about other people in the world wearing fur, I thought, why shouldn’t they do it? What if the animal that was used for this poncho was eaten as well? I have no idea if it was, but let’s just say that it was. If yes, then they are using the whole animal. If that’s the situation, then I’m all for it. All of this is a reminder to me that I shouldn’t jump to conclusions and judge others by my own set of ethics and standards. Even if I’m not judging you for wearing fur, I don’t have to agree with you. I will still vote with my dollars for things that I support and things that I’m against. I believe it’s my right and duty as a person living in a capitalistic society (or any society that buys and sells things) to use my money in the best way that I see fit. 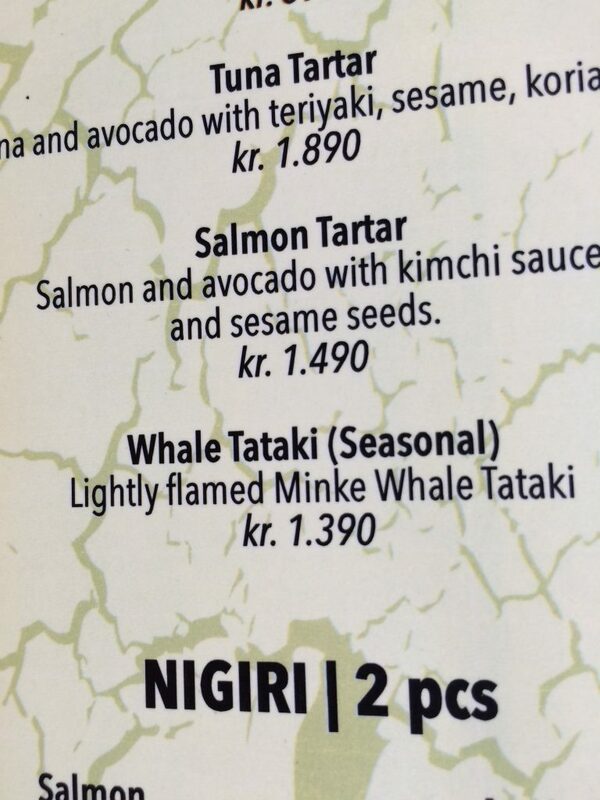 So, when I saw that minke whale was on the menu in the first restaurant we ate in in Reykjavik, Sakebarinn, I almost ordered it. Then, Marcus reminded me that whales are sentient beings and don’t I care about their conservation? I realized that yes, I do care about conserving whales. But part of my mind thought, it’s already been killed, I might as well eat it. I was really curious what it tasted like. Then the other part of my mind said, but you’re supporting whaling if you order whale for your dinner. Every dollar (or krona in this case) spent on whale is a vote for whaling. 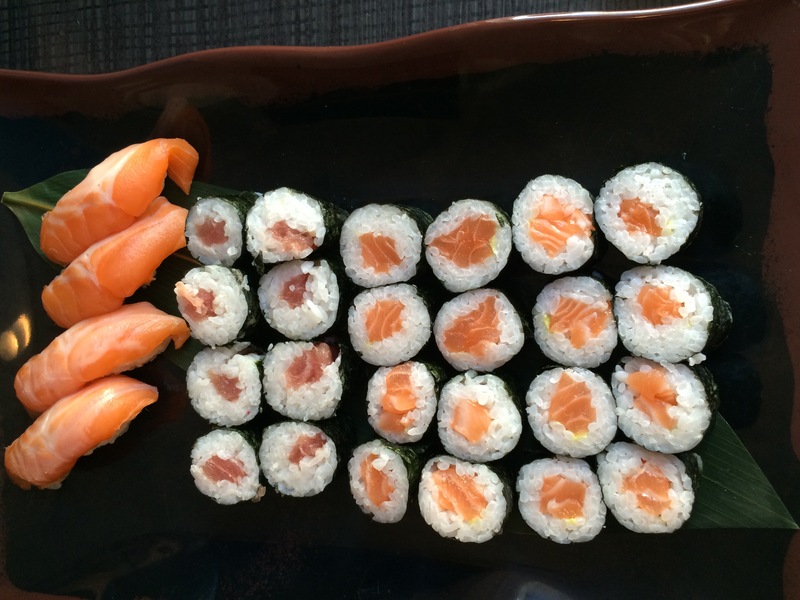 Instead, we ordered arctic char (it’s the nigiri to the left of the rolls shown below). It’s like a cross between salmon and trout and is subtle and mild. It’s my new favorite fish. After working as an academic adviser and a career counselor for almost two decades, the most important skill I learned was to listen more than I spoke. For some reason, it’s thought that people in helping positions (doctors, psychologists, career counselors, advisers, social workers, etc.) should speak well and that it’s one of the MAIN strengths you need to help people one-to-one all day long. After several years working in higher education, I realized it was the other way around. The people who are the BEST at helping others are the ones who listen the most and speak the least. I like to talk so it was a hard lesson to learn, but over time, and through practicing over many years with many different students, I got better and better at it. How could I tell? My students and clients were more successful. Faster. And, they told me so. But was I applying this skill set to my personal life? Not really. I realized while adventuring around Iceland with my husband Marcus that I’m pretty good at listening when it comes to friends and family members because I only see them each once a week or once a month or just a few times a year; but with Marcus, who I see every day, I’m pretty bad at listening. There’s no time like the present to recommit. It’s on this trip, this miraculous trip in Iceland, that I’m recommitting myself to listening more, and especially listening more (and deeper) to the person that means the most to me. I don’t like being out in the world by myself. I’m cool with staying at home alone. I do it five days a week, 10-12 hours a day. But walking around by myself for more than an hour or two, eating in a restaurant by myself, or even traveling by myself? I don’t like to do it. 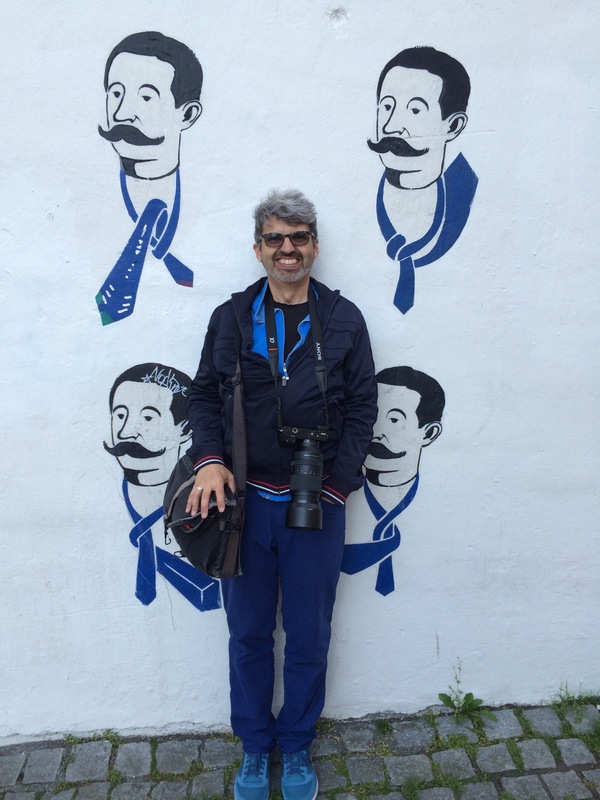 On this trip, in just a few days, there’s already been several times when I’ve been standing or walking by myself in a new or strange place because Marcus ran off (as he often does when we’re in a new or strange place) to take photos of something. And I’m finding that while it’s not my natural or preferred state of being, I’m slowly getting to like it more. And sometimes, I’m able to just breathe and take it all in and enjoy the moment. It’s taken me many, many years to figure this one out but I’m realizing that the more I stay in the present, the happier I am. I think it’s why I like to travel so much. It’s not all the sights and new experiences; though those are awesome as well, it’s more the fact that when I travel, I make myself stay in the present moment each day. I pay attention to what I’m eating while I’m eating it. I pay attention to what I’m looking at as I’m looking at it. I pay attention to what I’m smelling at the time that I’m smelling it. I pay attention to sounds I’ve never heard before. It’s not hard to stay in the moment when you’re standing behind a waterfall. I just need to learn to stay in the moment all the time, and not just when I’m traveling. 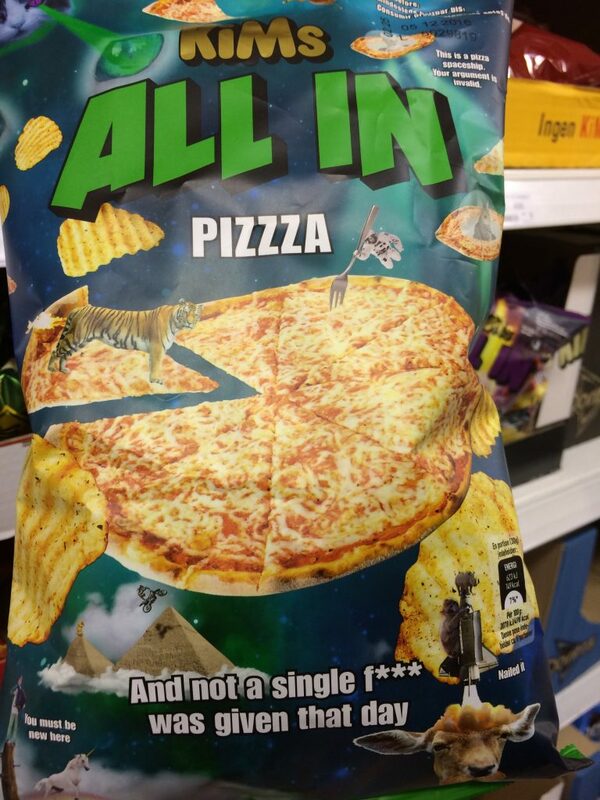 The line at the bottom of this bag of Kim’s All In Chips pretty much says it all. I’m still working on this one. Might take me my whole life to get there and not care what other people think, but, oh, it’ll be so worth it. Something very related to this that I discovered during yet another sleepless night of jet lag is that I don’t need to write my novel according to anyone else’s deadline except my own. I need to stop giving a f*** about what other people think. 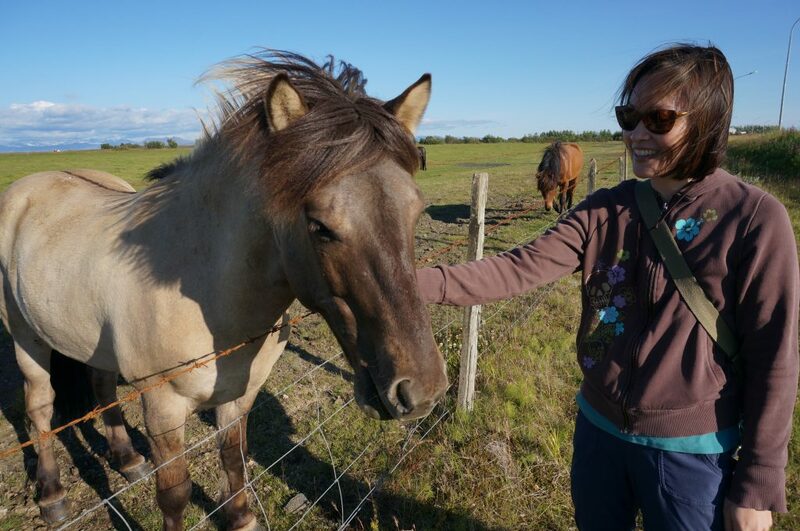 I came to Iceland thinking that I’d spend time exploring the island and writing every day (there are, after all, nearly 22 hours of light every day in August). 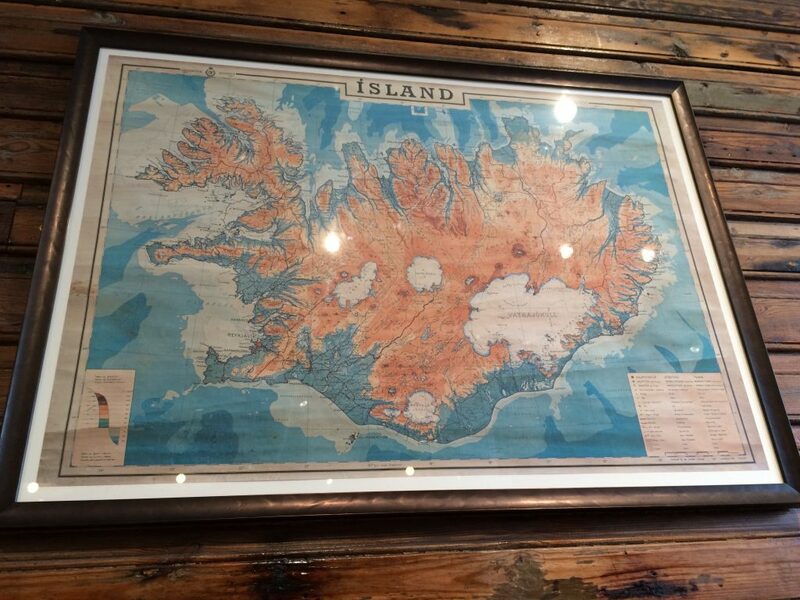 I was planning on finishing the first draft of my novel by the time I left Iceland. Yeah, that’s not going to happen. And I’m totally cool with it. In fact, I’m totally cool with not having a deadline for my novel AT ALL. It is! Especially since I’ve been ruled by deadlines my entire life. I’ve always thought that I needed them or else I wouldn’t accomplish anything. It’s not that I don’t think they’re helpful–they are–it’s just that I’ve reached a point in my life when deadlines aren’t helping me. What’s helping me is staying in the present, living each day the best way that I can, and consciously doing what I need and want to do that day. It could take me three more months to finish my draft. Or six months. Or another year. Or two years. However long it takes, it’s okay. I can tell when my story is ready to be seen by another set of human eyes. I’ll know when it’s ready to go to my beta readers. I’ll know when it’s ready to go to my editor. I’ll know when it’s ready to go to my proofreader. I’ll know when it’s ready to be read by strangers. I’ve done it before. I can do it again. If I need to get a job at some point so I can keep writing, I will. But I’m not crossing that bridge until I get to it. And I will use nearly every last dime in my savings before I get another job. Continuously planning for the future has helped me in so many ways. But it’s not helping me anymore. Instead, it’s just causing me stress and hampering my creative spirit. I need to focus on what’s right for me day by day. Time to keep moving forward and not give a f***. Takk. It’s pronounced like “tock” and means “thank you” in Icelandic. It’s the only word I’ve used with any regularity during our trip because Icelanders speak extremely good English. This is my longest blog post ever. I had no idea it was going to be this long when I started writing it three hours ago. 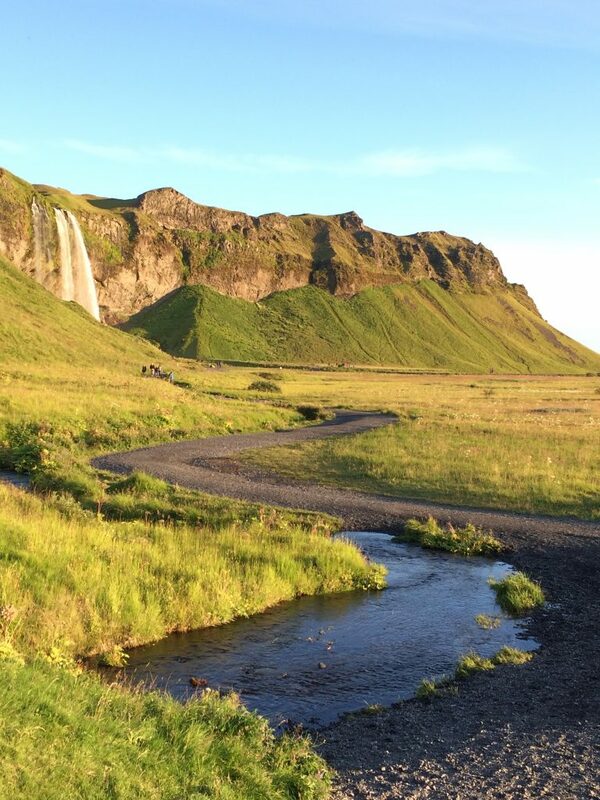 Hopefully, I’ve given you some good things to think about and maybe even enticed you to visit Iceland someday. And for reading this far, all I can say is, takk! 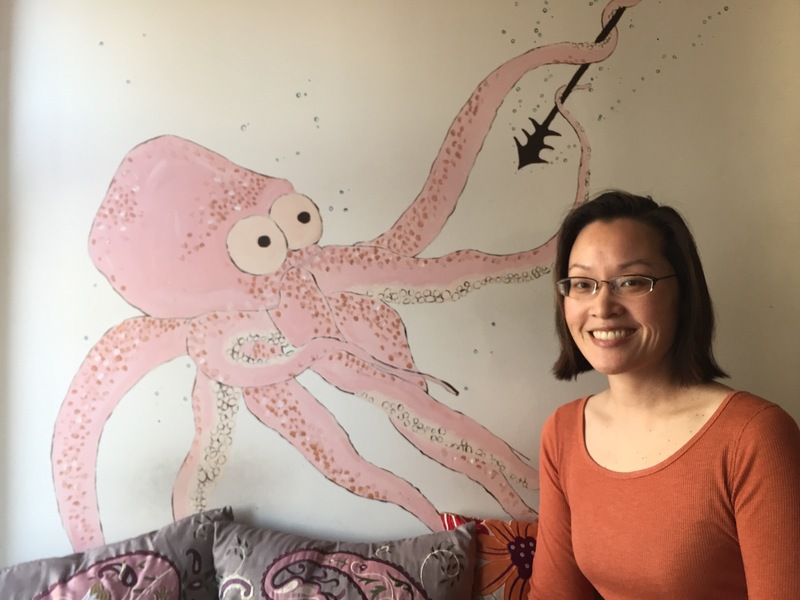 All photos are mine, except the one with the octopus, and with the horse, are by my amazing hubs, Marcus Donner. Such a great blog post Peg! I’m glad you two are having a great adventure. Thanks so much, Alisa! Sending you a hug and a puffin! I really enjoyed reading the lessons from Iceland! I especially liked Lesson #4 Listen More. Immediately, I wanted to print a hard copy of Lesson #4 and tack it to my husband’s side of the bed. But then I would be breaking Lesson #2—stop judging others! Words of wisdom are rarely absorbed without effort. I so enjoyed reading your lessons and listening to your brilliant voice through your writing. I always learn something from you! You do a fine job listening, which is why you are also successful in anything that you do. My favorite lesson is #7: Stop Giving a F***! People around us can have their judgements, but ultimately we have to live with ourselves and the choices that we make. If we can go to sleep at night, then who gives a f*** about what we choose to do. Your deliberateness in living life to its fullest is inspiring. F*** anyone who says otherwise. I usually don’t curse, but guess what, I have Stopped Giving a F*** :)!!! Keep on, my friend. 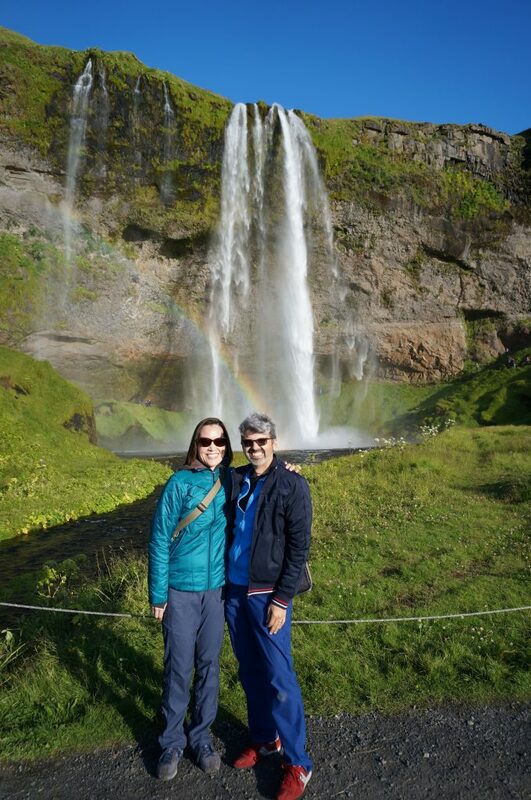 So glad that you are in Iceland and absorbing amazing experiences. Looking forward to catching up when you return. Thank you, Chanira, for your kind and encouraging words. You’re always in my corner and I deeply appreciate that. Always grateful for your friendship and support. Glad that Lesson #7 resonated with you and that you’ve stopped Giving a F***!!! Yaaaaass!